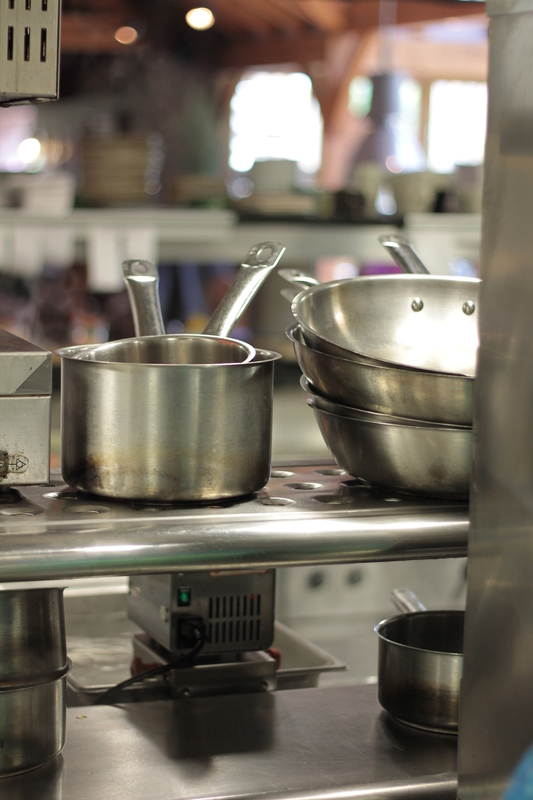 No matter what type of restaurant you manage, your kitchen will produce grease. In addition to its unsightly appearance and unpleasant odor, improper grease control and infrequent grease trap cleaning can increase the risk of fires, plumbing issues, and pests. Luckily, the guide below details ways you can minimize this substance’s impact on your commercial kitchen. When it’s a busy night at your restaurant and you’re pressed for time, it may be tempting to just throw leftover grease down the garbage disposal. However, the grease can eventually clog your pipes. To avoid unnecessary plumbing issues, put the grease in plastic containers and then empty them into the trash at the end of the night instead. Mount “No Grease” signs or warnings above sinks to remind staff of proper procedures. Throughout the day, the grease from foods can splash onto the floors and create a tripping hazard. Have your employees clean the floors at least once a day with grease removing products. Clean floors can help minimize the risk of accidents and injuries in your commercial kitchen. Before you throw the pots and pans in the basin or washing machine, have your dishwasher take a few minutes to dry wipe them. This will minimize the amount of grease that gets into your grease trap, meaning fewer plumbing issues. Even if you keep your kitchen spotless, fats and oils still accumulate in your trap over time. To keep this device in top shape, schedule a grease trap cleaning every three months. A professional grease trap cleaning company will remove all the fats and oils from this trap efficiently. They’ll also help you determine if you need to boost your grease trap size to accommodate changes in customer volume or your menu offerings. If you’d like to schedule a professional grease trap cleaning, turn to Sanitrol Septic Services. The company has provided grease trap cleanings, septic tank pumping, clogged pipe repair, and video camera inspections to clients all over North Branford, CT since 1984. They offer unparalleled thoroughness, accuracy, reliability, and speed. For more information about their services, call (203) 315-3202 or visit their website.